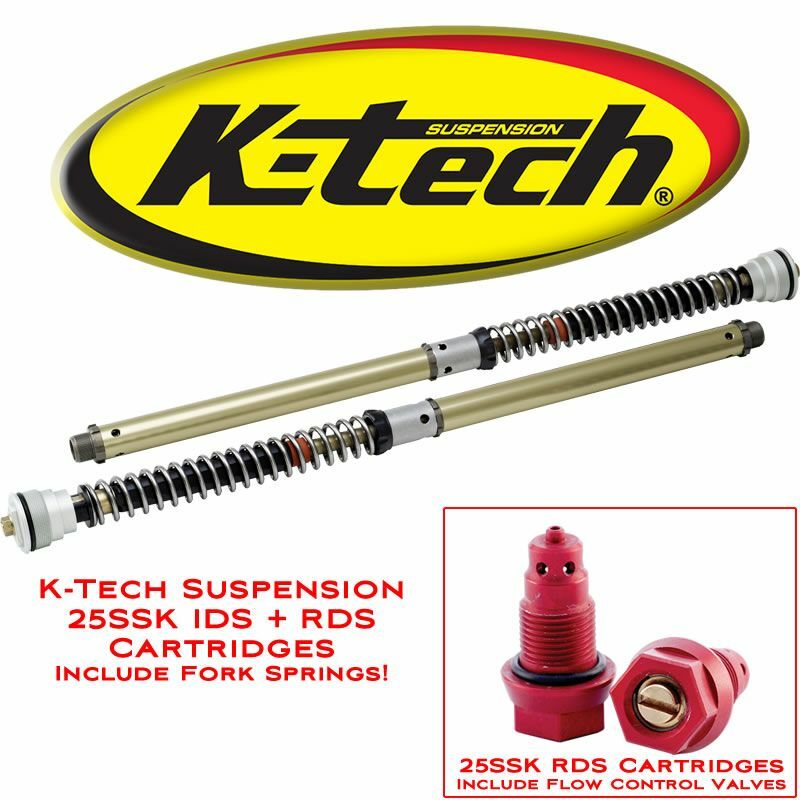 K-Tech RDS (Rod displacement damping system) front fork cartridges are a complete replacement damping system designed to fit into original equipment front forks. Designed and manufactured in the UK using the highest grade materials and processes available. The RDS system uses a 14mm piston rod and 25mm control piston for a larger displacement of oil for improved damping performance, providing the rider a race level performance from their original equipment forks. The RDS cartridges are only available through K-Tech authorized dealers who have been trained to install these products, there are specialist tools and techniques required to guarantee performance and safety of this product. These cartridges are supplied with springs but they must be selected in the cart.